My husband and I both have our own pair of suede slippers and have used these methods successfully for years. For Christmas one year, I bought my husband a pair of suede and sheepskin slippers in a dark chocolate color. Then, he went on a trip for a week. While he was gone, I tried on his slippers and discovered how wonderful they were. After a few days, I started to worry that when he came home, I would no longer be able to wear these slippers that I had fallen in love with. I had no choice but to go out and buy myself a pair. What a great decision! Sheepskin lining, suede uppers, and a full sole keep my feet's natural heat from escaping out onto a cold floor. From November to April each year, I have very cold hands and feet, so extra-insulating slippers are a necessity for me. These house shoes are so comfortable. My shearing slippers have a wide fit that allows my feet to move freely even when wearing my thick wool socks. I wear them almost all day, every day, from November to April—and they are durable. With minimal care, I am sure I can get ten years of wear out of these slippers. 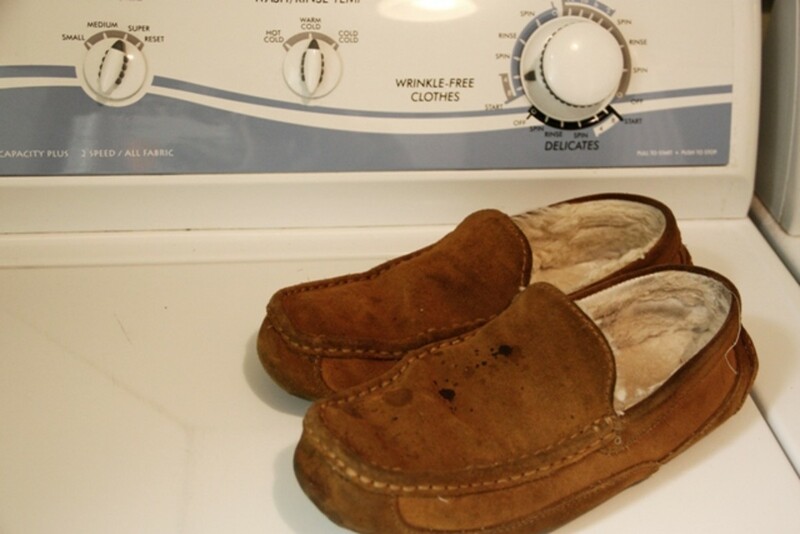 When your slippers need some attention, don't be tempted to toss them into the washing machine. 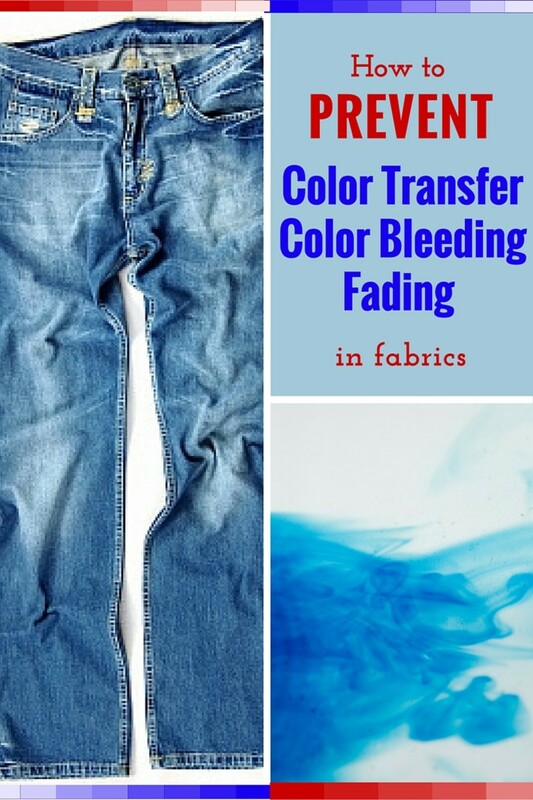 Doing so can cause the suede to dry out. Not only will your shoes become stiff and uncomfortable, they might crack right open! 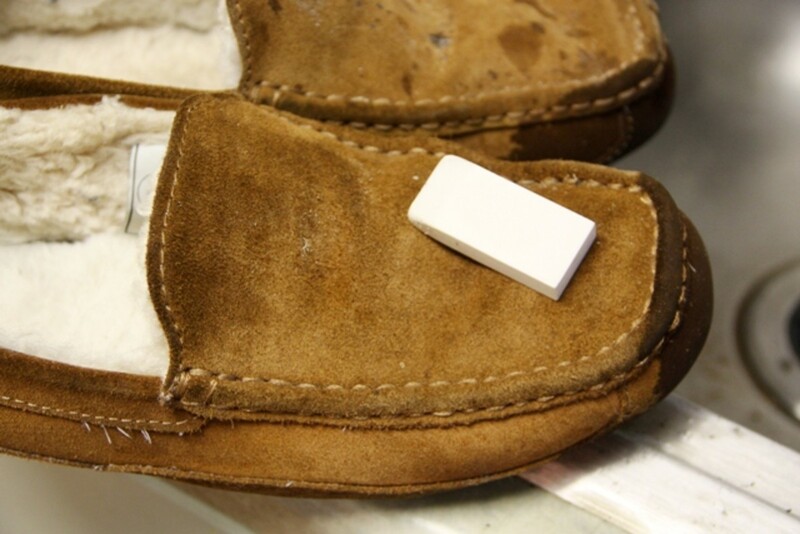 As odd as it seems, an eraser works well to clean spots off of suede. Almost any eraser will work—from the one on the end of a pencil to a square eraser that's a bit larger. Choose plain, quality erasers. Don't use those cheap novelty erasers that have lots of dyes because some of that color may transfer onto your suede. 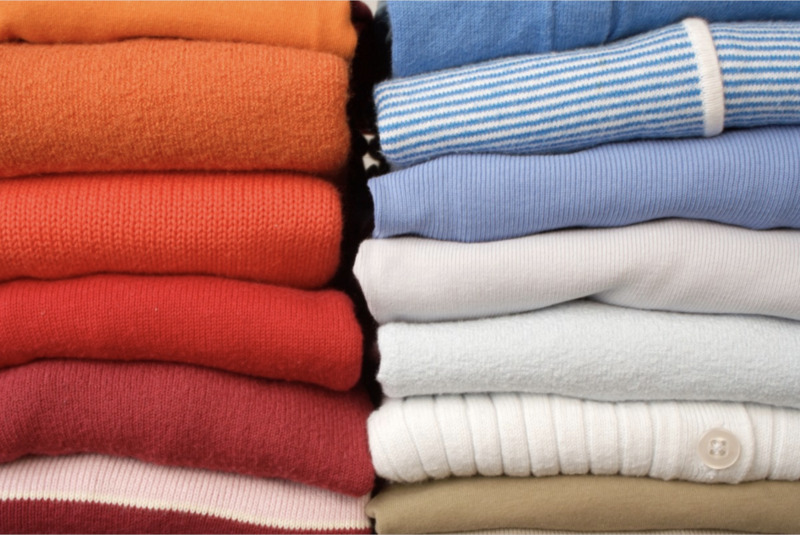 Apply a small amount of vinegar to a clean cloth or rag and rub the stains or spots lightly. Do not soak the slippers in vinegar. 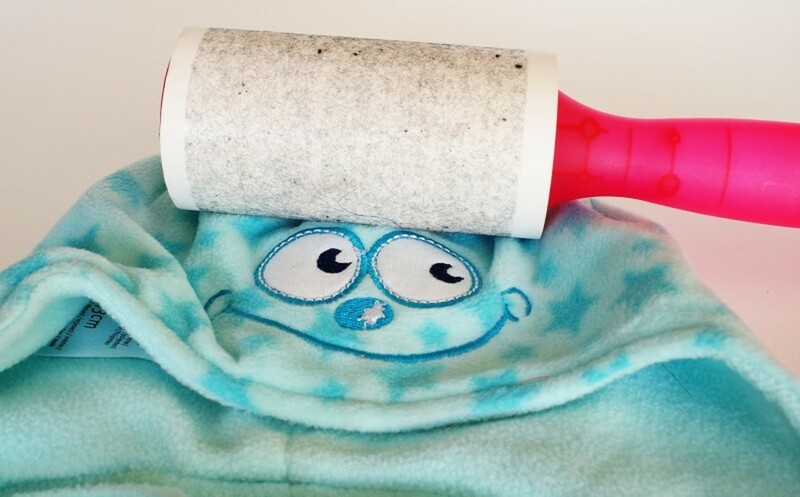 Don't destroy the nap of the suede, but do rub vigorously enough to remove the stain. Of course, your slippers may have a slight vinegar smell for a few days, but it does wear off eventually. 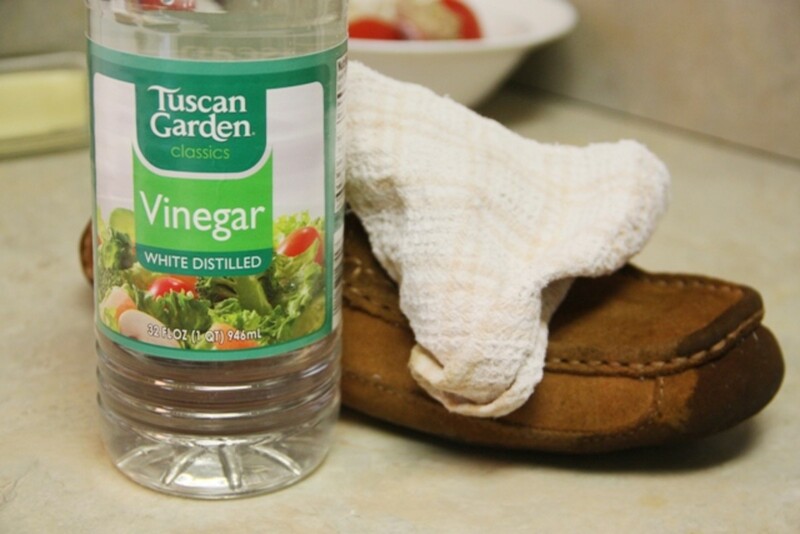 White vinegar is another way to naturally clean your suede shoes. If you clean your slippers in this way every year before you store them in the spring, you can keep them looking good for many, many years. If you wear your slippers in the kitchen like me, you may find that some stains will not come out at all. 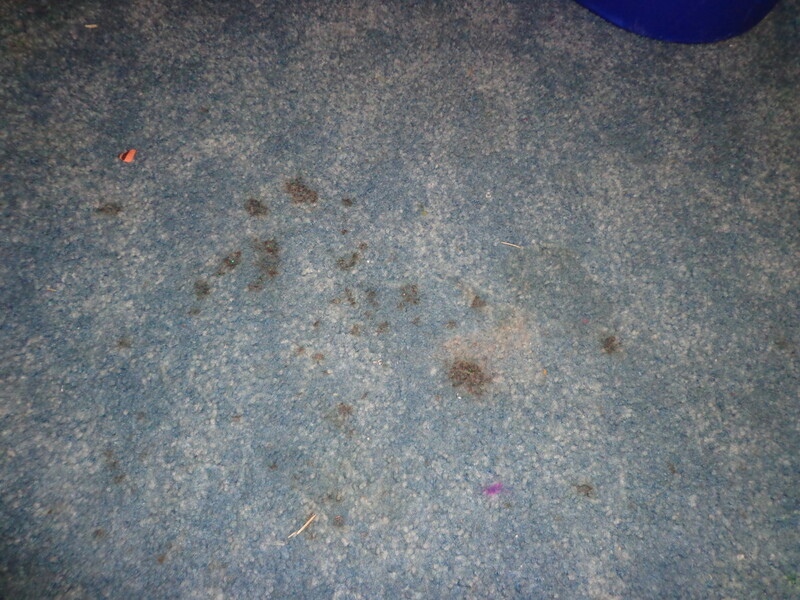 For example, oil stains are almost impossible to remove. 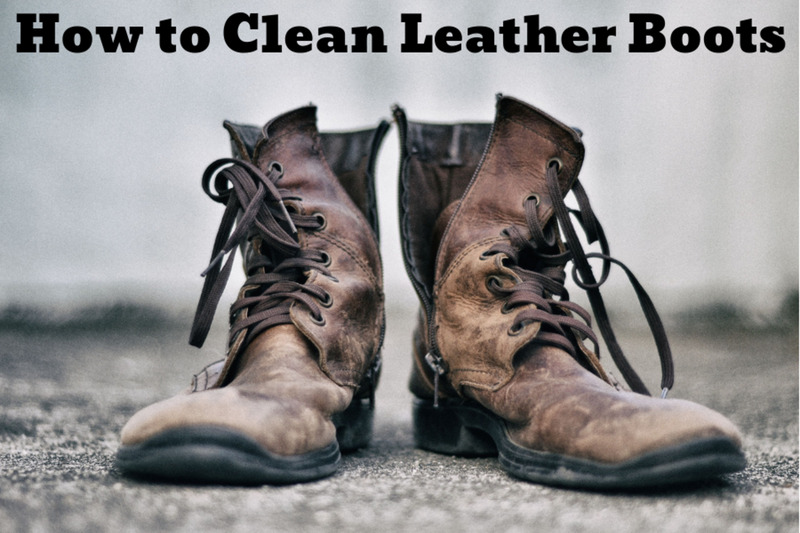 Of course, preventing stains in the first place is easier than cleaning your shoes. 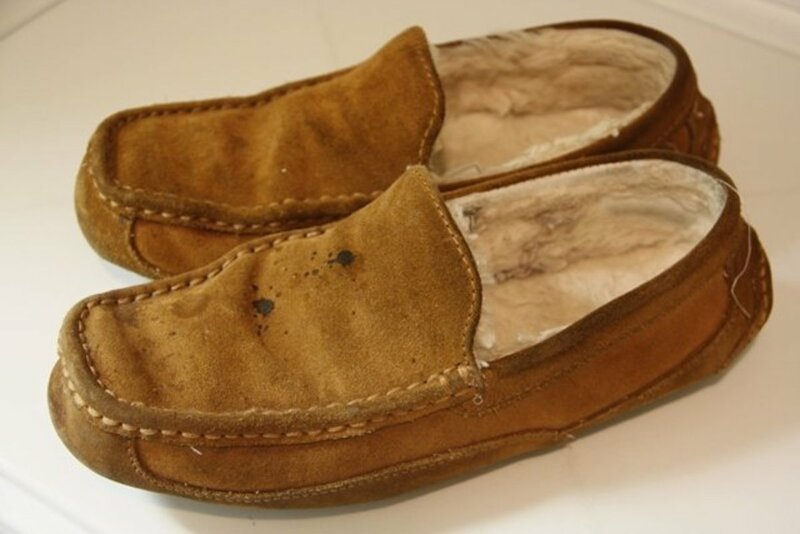 So spray your new or newly cleaned suede and sheepskin house shoes with a coating of waterproofing protectant. OxiClean: Is the Generic Just as Good? Well, I have chronically cold feed in the winter, so I can't say that my feet have EVER sweated in my suede and sheepskin slippers. If my feet get too hot, I simply remove the slippers until they cool down. But of course, wearing socks helps to absorb any possible sweat that may occur. Don't wear your slippers barefoot. I always have wool socks on in the winter. Sorry I can't be of help. 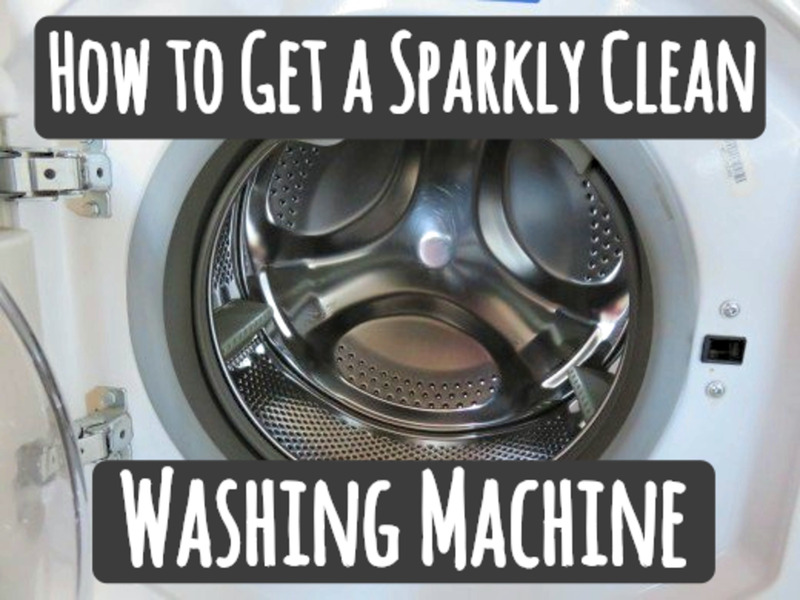 Great ideas for cleaning the outside, but what about the inside? Naturally your feet sweat and wearing them every single day for months make them stink. Since I can't throw them in the washer, how do I clean them? Very useful info. I think I've used the eraser method before, but my husband's slippers need more. I may have to go the vinegar route! I'm going to try your suggestions! Thanks for the info.